How are you all doing? Hope you’re surviving the cold weather – brrrr it’s chilly!! 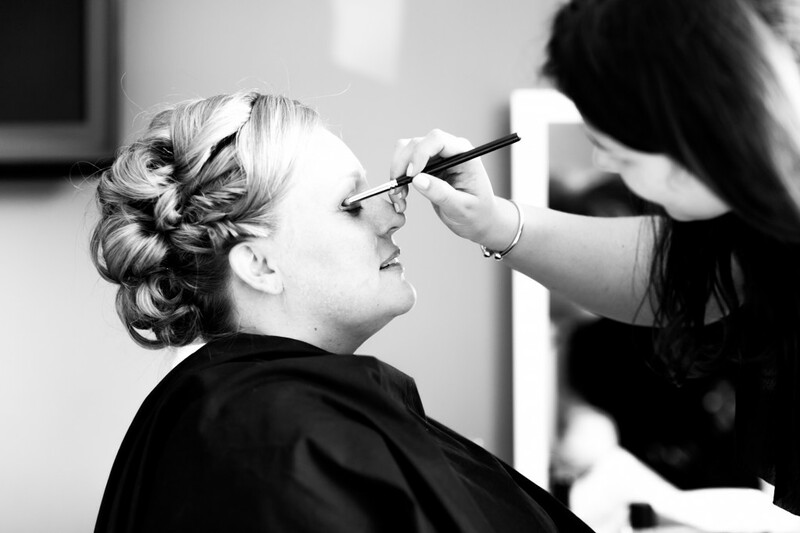 Before your wedding trial, it is so helpful for you to collate some images of hair and makeup styles that you like. They say a picture is worth a thousand words… well, I don’t know about that exactly, but as an artist, it is SO handy to sit down with you and discuss your ideas and what styles you like; it’s a great starting point. When looking for inspiration, try to choose images with similar colourings to you. Believe it or not, a hairdo on a blonde can look very different on a brunette. It’s also worth bearing in mind, that if you have the colourings of Emma Stone, then the makeup of Kim Kardashian may not necessarily translate onto you. Pinterest is a great tool for finding gorgeous inspiration; you can create boards which you can then easily share with your makeup artist. Alternatively, looking to the red carpet always gives fresh ideas that tend to look like a cooler version of wedding hair or makeup! You can take a look at my inspiration boards here. Getting your ideas together sounds easy peasy if you know what kinda thing you’re looking for. However, what do you do, if you have no idea where to start? 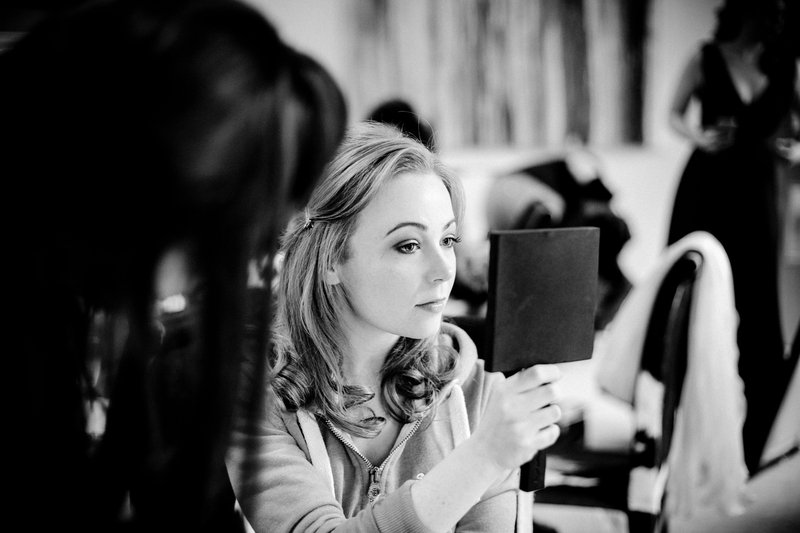 I think it’s worth considering how you usually wear your hair and makeup, as well as the style of your wedding dress. How do you normally wear your hair? If you always wear it down and feel more comfortable that way, then wear it down! 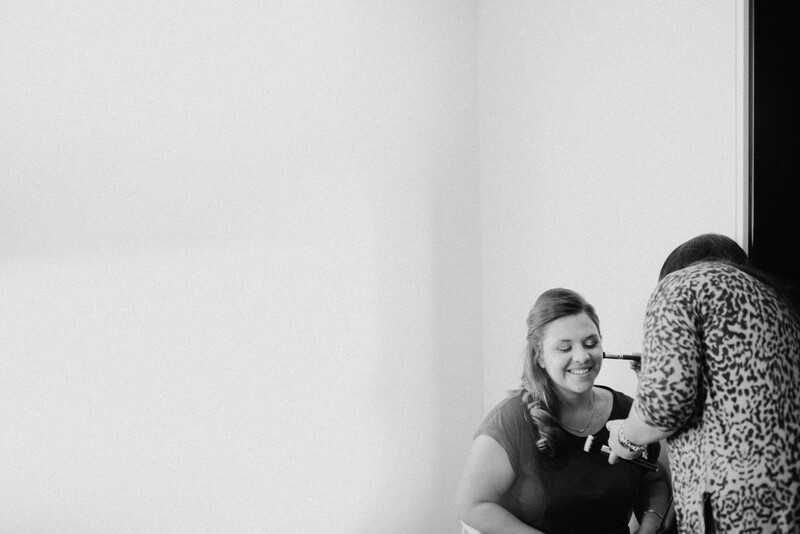 Just because it’s your wedding day, doesn’t mean you have to do something totally different. There are no rules. Yes, you want to look and feel special, but you also want to look like you! The most important thing is that you feel comfortable, whilst looking gorgeous. There’s no point in wearing a style that you don’t feel amazing in. How much makeup do you normally wear? If you don’t normally wear much, you don’t have to wear loads just because it’s your wedding day. You can wear sheer, long wearing formulas that will last, without feeling like it’s been trowelled onto your face. On the other hand, if you usually wear a lot of makeup every day, don’t feel you have to tone it down because that’s more ‘bridal’! It’s also worth thinking about the your style of dress – your hair and makeup will need to reflect this style, so that your look flows and is cohesive. If your dress is relaxed and romantic, then maybe a soft unstructured updo might be a winner. If your dress is chic and glamorous, then maybe a classic chignon might be up your street. If your dress has a feature or detail, you might want to show that off (so you may wish not to cover it with your hair). It’s worth wearing something with a similar neckline to your wedding dress; it is also useful to wear a similar colour to your wedding dress for your trial. Don’t forget to bring your inspiration with you and also an open mind – your stylist may suggest something that could look glorious. The whole point of the trial is to try different options. As a side note to this, I use very little product during a hair trial, which means I can take the hair down and try different styles. 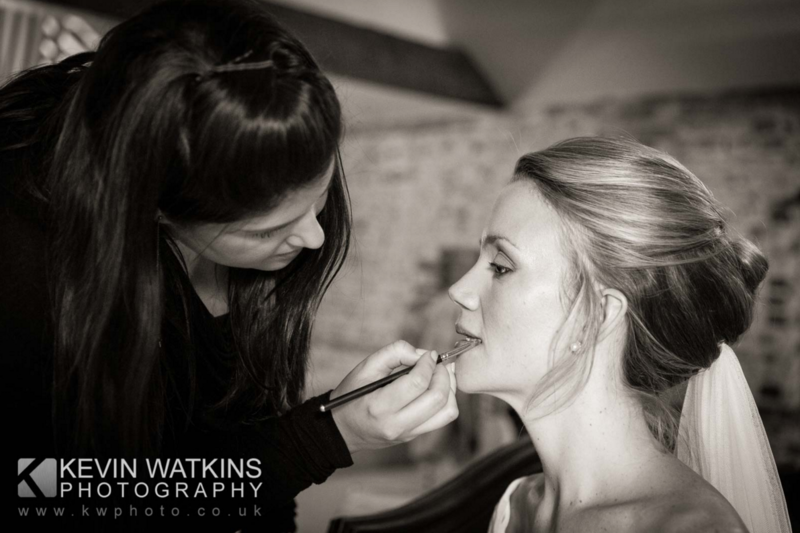 On the wedding day itself, I use more products, so the final look will be more finished and polished. Please bring your veil/any hair accessories that you’re planning on wearing for your wedding day. It’s also handy for you to bring along a photo of your dress. 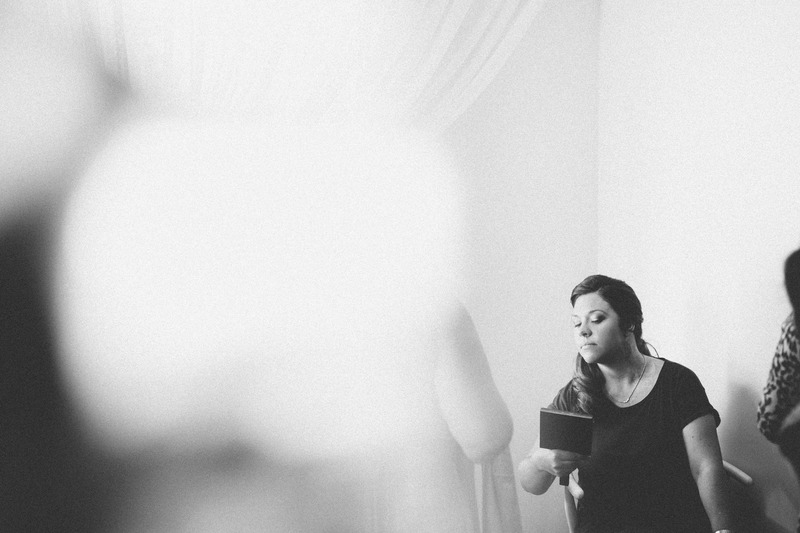 I don’t mind if my bride arrives at the trial fresh faced with no makeup on or with a full face of makeup. Sometimes it’s handy to see how you usually wear your hair and makeup, so arriving with your usual makeup can give me an indication of how you look everyday. 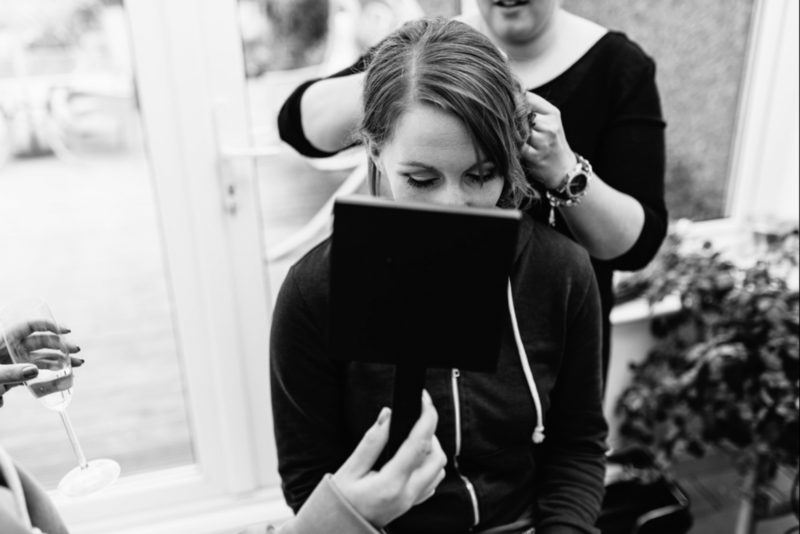 Finally, if your artist is travelling to you, for your bridal trial, please bear in mind that they will need a chair, a table for their kit and a plug for any appliances they need. 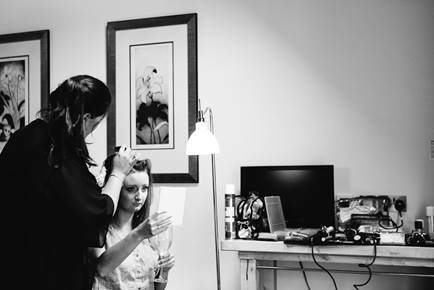 About 4-6 weeks before the wedding is a good time to do your trial – the lighting will be about right, it’ll be the right season, by then you’ll probably have a clearer idea with regards to what you do or don’t want in terms of your hair and make up and also what the rest of the wedding will look like (including your dress!). After your bridal trial, it is worth wearing your look for the rest of the day (and night!) to see how it wears. Check it out in different mirrors and lighting at home. I also think it’s worth seeing how your hair and makeup looks from different angles and also how it looks in real life as well as in photos. I really hope that’s been handy!